I was inspired to write this article because I heard a seminar the other day that said we are all feeding our dogs wrong. It was especially discouraging because the person speaking has many followers and it just all seemed so unnecessary. Here is my attempt to help us feel good about our positive efforts. Hope you enjoy! When my kids were little I did my best to feed them what I thought was good for them – fresh foods that included protein, fruits and vegetables, dairy and healthy fats with a limited amount of processed junk food. It seemed that most of my friends and family also understood the value of fresh healthy food and we all did our best to make healthy choices. Yes, it’s true, we did eat from the McDonalds drive-thru on those busy nights we all have, but ultimately, we knew the difference between a home-cooked fresh meal and highly processed fast food. Common sense and knowledge passed down from generation to generation. When it comes to our dogs, it’s a completely different story! No common sense or nutritional awareness has been passed down from older generations for how to approach our pet’s nutritional needs. We, for the most part as a society, are following along doing what we are told no matter the logic. We feed our pets a highly-processed diet with no variety for the entirety of our pets’ lives. The bags of processed food have images of fresh food on them, but somehow, we don’t see that, or even question why we are feeding our dogs very differently than we are feeding families. Not surprisingly, with a lack of generational knowledge and the value of proper nutrition, our pets’ health are failing and causing many of us with a hunger to learn and to start asking harder questions about what our pets need to live a healthier life. Is it a better quality processed food or is it a fresh diet they need? And if it’s a fresh diet, what do we feed them and how? Here’s where things start to get confusing. If you ask the question “what is the best food to feed my dog?” the answers will vary dramatically depending on who you ask. And what is even more confusing is that it seems that the industry is creating a standard of nutrition that seems to be so complex that even if you do venture to cook and feed your dog fresh food, you will at some point be advised that if you don’t create a perfect nutrient balanced diet, you are robbing your dog of critical nutrients that will cause disease. UGH! How are we to gain awareness if we are made to feel incapable? Not once did I hear from a Doctor, a television show, article, friend or family member that it was crucial to my child’s health and longevity that I consider every possible critical nutrient of their diet and that if I didn’t their diet would be imbalanced and cause disease. Never! Not once! 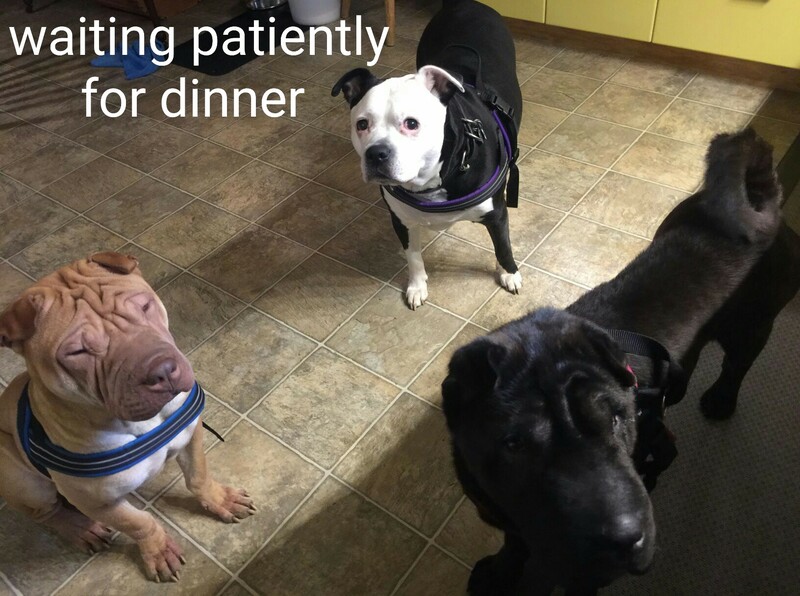 And yet with my dogs, based on the industry and society I am incapable of feeding them a wholesome healthy meal without a Nutritional Degree (or the very expensive course they are selling). Yikes. I would have felt completely inadequate had I been told this about my children’s diet. Yet I somehow managed to raise my two children to healthy adulthood. Elevation of nutritional values is a wonderful thing. We are what we eat after all. And there is huge value in all the nutritional research being done today to better understand an optimal diet. However, if you are looking to enhance your pet’s diet and are being directed to feel as though you are incapable, take it as a sign that you might be looking in the wrong place. Education and knowledge is meant to support us, empower us and provide us with ways in which to achieve our goals… you can do it! Together we will create new values and insights for our pets’ well-being so that the younger generation can feel confident and elevate awareness even further. Our pet nutritional products provide nutritional support that commercial pet food can’t…while helping your pet absorb nutrients that are in your chosen pet food, whether kibble, wet or raw.